Building on recommendations that resulted from the 2012 NM WRRI annual water conference, Hard Choices: Adapting Policy and Management to Water Scarcity, this year’s conference will take another step toward adapting to the ongoing drought, a situation many consider “the new reality.” Decades of relative water abundance in New Mexico and the region, coupled with large population growth and increased consumption, have led to a crisis point for our water supply. Each speaker at the conference, New Water Realities: Proposals for Meaningful Change, will bring to the table at least one proposal or strategy for addressing the impact of water scarcity in our state. The conference will begin with a background of current precipitation and temperature conditions and discussion of climate variability and change. 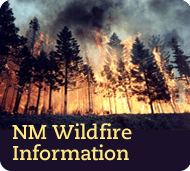 Model results of possible future scenarios and impact on New Mexico will be explored. For a broader perspective, regional water experts will discuss similar water issues facing other western states. Pressing water issues facing New Mexico like priority administration decisions, lengthy adjudications, the interrelationships between energy production and water use, water quality impairment including salinity control, conjunctive use of surface and groundwater, and economic impacts of drought will be among the topics discussed at the conference. We are pleased to have Tanya Trujillo, a well-known and respected water attorney who practiced law for many years in New Mexico, and who played a significant role in the Pecos Settlement, as our 2013 Albert E. Utton Memorial Water Lecturer. She will speak at the luncheon on the first day of the conference. We are also delighted to have two long-time academicians and water experts address our participants at a luncheon on Friday. Dr. Bruce Thomson, Regents’ Professor of Civil Engineering and Director of the Water Resources Program at UNM has served the NM WRRI in various capacities over the past couple of decades and will be retiring from UNM this summer. Joining him is Dr. Adrian Hanson, an environmental engineer with NMSU’s civil engineering department who specializes in small scale and small community water and wastewater systems. He joined NMSU in 1989 and will begin his position as department head of the civil engineering department at the University of Minnesota – Duluth in July. We look forward to their candid remarks as they reflect upon their careers in academia. Join us on November 21-22 for a very informative and timely conference – and at a very affordable conference registration fee again this year.